Nine years ago, in 2010, Degussa was just a name with a historical past; today it is one of the most prominent independent gold merchants in the world. It is a phenomenal success story. 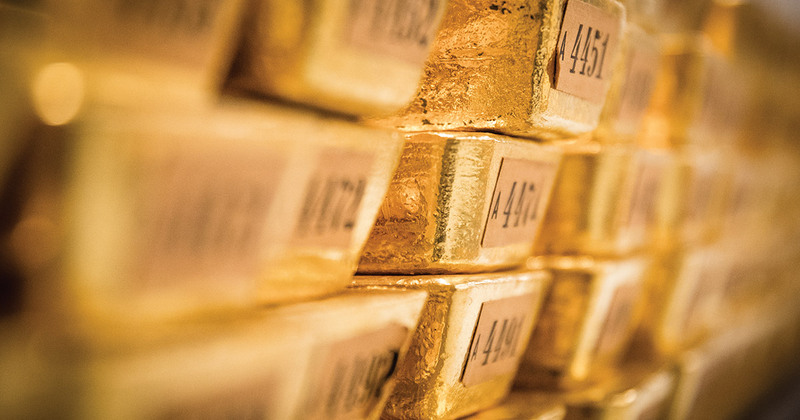 Degussa has not only cemented its position as the foremost gold retailer in Germany but continues to increase their market share, product offerings and activities in adjacent areas of the gold market. Degussa’s long roots date back to the mid-19th century when the city of Frankfurt was an independent entity with its own currency and mint. On the 1st of January of 1843, the Senate of the Free City of Frankfurt leased the freshly built precious metals refinery to a man named Friedrich Ernst Roessler, who headed the newly-formed Frankfurt Mint. Roessler began refining production the very next day, which laid the foundation for what would become Degussa over a century and a half later. Following Prussian occupation in the mid-1860s, the city was stripped of its minting rights, and in the aftermath of the Franco-Prussian war, Germany changed the silver-backed currency with a gold-backed one. But, they required a refinery to effect this change, so they approached the old Frankfurt mint. In 1872, the Roessler family began negotiations with the metal trading firm Philipp Abraham Cohen and Bank für Handel und Industrie (Bank for Trade & Industry) to take the company public. Once a deal was agreed in 1873, the company was renamed the German Gold & Silver Refinery or more accurately the Deutsche Gold und Silber Scheideanstalt, which was shortened to Degussa in the 1920s. The business thrived for many years, but gradually turned its attention to chemical development and during the gold crash of the late 1990s, the company decided to sell the precious metals sector of the business. The famous Degussa name was left unused until one of the wealthiest families in Germany – the von Finck family - acquired the title in 2010. The family had developed an understanding of gold over many years and recognised its qualities as an asset class. With the acquisition of the Degussa brand, the family saw the opportunity to revive the name and establish a world-class gold trading company. Since the world moved away from the gold standard, currency is no longer backed by gold. Instead, the value of paper money is determined by the performance of the economy and the ability of large financial institutions to make wise decisions that keep confidence high. This is very valuable to the world’s financial markets, but as we all know, it can also be highly volatile. If the market takes a tumble and struggles to bounce back - similar to the 2007-08 financial crisis - governments will often try different tactics to reverse the downturn, some methods will pay dividends, and some won’t. It’s during these uncertain times that it pays to think about alternative options. Gold is one such option and has been a valuable and alluring presence for centuries. Due to its rarity, it can't be arbitrarily printed off like paper money, which means it is a reliable form of long-term investment. Even in times of strong economic growth, interest in gold continues to rise as savings grow and people want to diversify their investments portfolios. Germany has had a long history of investing in gold. In days gone by, bank customers could buy it almost as easily as we make cash withdrawals. Not so today, particularly with banks not holding physical gold in their branches. This is a gap that Degussa has stepped in to fill, offering customers a time-honoured, quality, customer service focused experience. For over a century, the von Finck family owned one of the largest private banks in Germany, which has given them an advantage in the art of making customers feel comfortable in an atmosphere of elegance. Working hard to develop a strong reputation as a trusted household brand has made Degussa gold synonymous with durability; surviving wars and outlasting social systems, which just goes to show what an enduring source of wealth Degussa gold really is. Long-Term Value - Gold has provided different cultures around the world a way to preserve wealth for over three centuries. As we've seen different currencies come and go, gold has endured, evading every significant financial crisis along the way. Gold has remained invulnerable to inflationary monetary policy - it is literally worth its own weight. Timeless Appeal - There are few metals on the planet that have shaped the course of human progress in quite the way that gold has. Humans have been captivated since the birth of the earliest civilisations. Degussa Gold Bars & Ingots - We stock the globally recognised Degussa gold bars and ingots ranging from 1 gram up to 1 kilo. Sharps Pixley offers the opportunity for interested parties to purchase gold with a purity of 99.99%. Our considerable selection of Degussa gold is all produced in Switzerland by Argor Heraeus or Valcambi, two of the most highly respected LBMA accredited refineries in the world. We are also committed to providing outstanding gold products at the most competitive prices on the market. For more information on golds coins, gold bullion or any of our other products give us a call on 0203 318 4383 or better yet, why not visit our London, St. James’ street showroom to chat to us in person?